The following applies to erixx: please purchase your ticket before starting your journey! 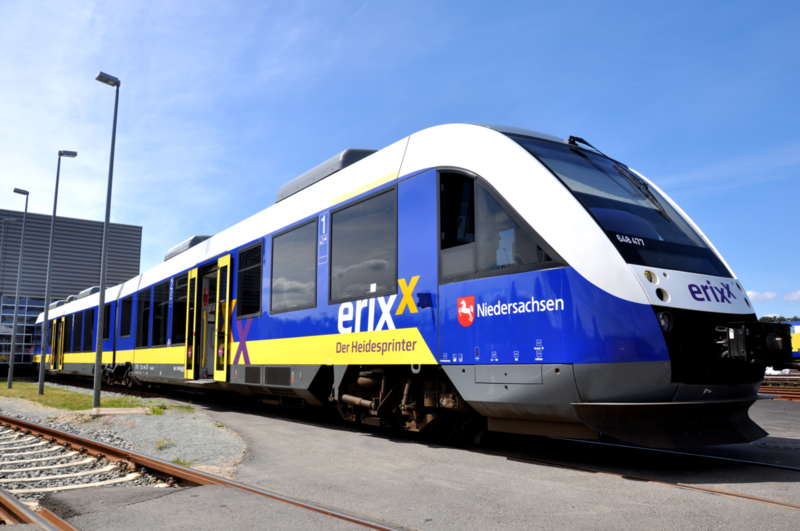 To make purchasing tickets as easy as possible for you, there is at least one ticket machine at every erixx station. You can get all tickets which you need to travel with erixx here. The machine helps you select the right ticket and it automatically chooses the cheapest ticket for you according to your search. You would rather purchase your ticket in person? You can do this at our Service Centre Uelzen, at the DB agencies and travel centres along our routes, as well as at the VRB and GVH ticket agencies. You would like to purchase your ticket online? You can purchase tickets for journeys which do not solely take place within the transport associations GVH, HVV, VRB and VBN at www.bahn.de. You can purchase tickets for connections within transport associations (GVH, HVV, VRB, VBN) online or via app at the respective transportation association. In exceptional cases, for instance if a ticket machine is demonstrably out of order (in this case, please note the ticket machine number), it is possible to purchase your ticket in the train. To do so, please approach our passenger attendants. However, they can only sell you a limited selection in the trains.